If you have any comments about the 50th Fridays series, we would love to hear them. Share your thoughts with us at rvc-publicrelations@rockvalleycollege.edu. 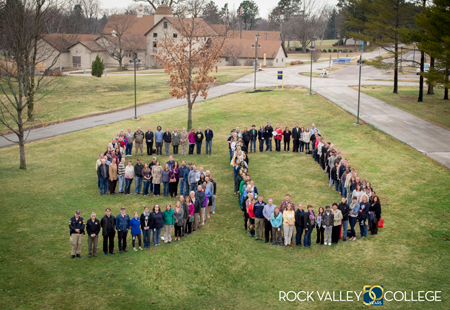 Perhaps you heard that RVC celebrated its 50th anniversary in 2015. Aside from these weekly 50th Fridays flashbacks, the college celebrated all year long with special events, including an Ice Cream Social, The Sound of Music outdoor movie viewing, the Golden Futures 5K, A Day at RVC, and the Where Dreams Take Flight 50th Anniversary Gala at our new Aviation Career Education Center. All events were a huge success and brought together students, staff, faculty, and the community to celebrate RVC. You can relive it all through photos and videos posted on our 50th anniversary web page. Here’s to the next 50! 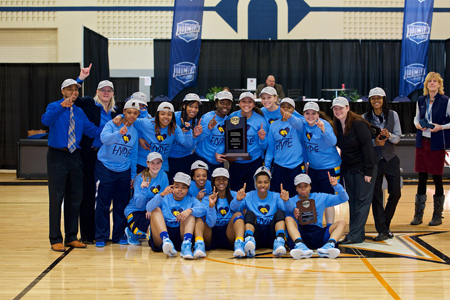 For the third time in four seasons, Misty Opat and the RVC women’s basketball team were crowned national champions after defeating Roxbury Community College, 80-76 in overtime, on March 14, 2015, in Bethlehem, PA.
Samantha Rundblade’s three-pointer in the closing seconds of regulation tied the game at 68 and sent it into overtime for the Golden Eagles. 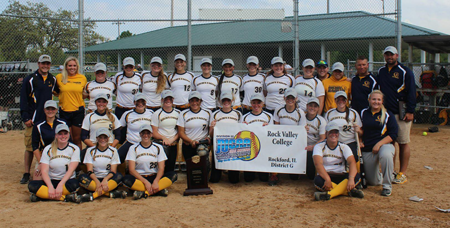 After winning back-to-back national championships in 2012 and 2013, RVC fell short in the 2014 championship game. Not this time. The Golden Eagles may have had an “off” season in 2014-15 compared to recent seasons in the Opat era, losing seven games, including two straight games in conference play in February. But after those back-to-back losses to Milwaukee Area Technical College and Madison College, the Golden Eagles did not lose again, ripping off nine straight wins on their way to a third national championship in four seasons and a 27-7 overall record for the season. Just two months later, Darin Monroe and his #1 ranked and #1 seeded softball team defeated #2 Herkimer County Community College for the second day in a row on Saturday, May 16, 2015, to secure a second straight national championship. It was the third straight appearance at the NJCAA tournament and second straight national championship for RVC Softball since Monroe arrived four years ago. In his first four seasons he has compiled a record of 156-44, including an astounding 52-5 record in 2015, establishing a program record which also ranks as the third highest winning percentage in NJCAA Division III history. The Golden Eagles finished the season on a 32 game winning streak and went 18-0 against Division III opponents. RVC Softball joins Volleyball (1996, 1997), Golf (2001, 2002), and Women’s Basketball (2011-2012, 2012-2013) as RVC athletics programs to have won back-to-back national championships. It is the 15th national championship in RVC Athletics history and the eighth since 2011. On April 16, 2015, the college formally announced plans for a new main campus building project— a Health Science Center— to help meet the growing demand for nurses and other health care workers in the region. The new 117,000 square-foot, four-story building will provide world class learning facilities for students in the nursing and allied health fields. In a collaboration to provide opportunities to nursing students beyond the associate’s degree, Saint Anthony College of Nursing will occupy almost two floors of the building and offer bachelor’s, master’s and doctorate degrees in nursing. The collaboration will create a seamless way to earn a four-year nursing degree on the RVC campus. Construction work on the Health Sciences Center began in June with classes expected to begin in the spring semester (January) of 2017. The building will include 13 classrooms and 10 laboratories. RVC student Chandra Lopez was selected to travel to NASA’s Johnson Space Center in Houston, Tex., May 20-22, 2015, in the NASA Community College Aerospace Scholars project (NCAS). Lopez was one of only of 240 community college students from across the U.S., only three from Illinois, to be part of NCAS. The five-week scholars program culminated with a three-day on-site event at Johnson Space Center and offered Lopez the opportunity to interact with NASA engineers and others as she learned more about careers in science and engineering. While at NASA, students formed teams and established fictional companies interested in Mars exploration. Chandra talked more about this opportunity on our blog. 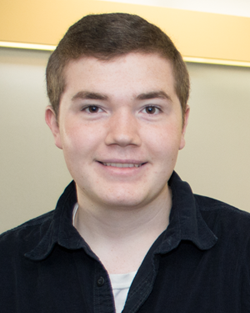 Rock Valley College graduate Spencer Haydary was one of just ten two-year college students in the nation to receive the 2015 Phi Theta Kappa Hites Transfer Scholarship to assist in the attainment of his baccalaureate degree. Scholarships of $7,500 each have been awarded to the ten 2015 Hites Scholars. Students enrolled in associate degree programs and preparing to transfer to a regionally accredited baccalaureate degree-granting senior institution in the fall of 2015 were eligible to apply. Judges reviewed and scored applications for academic rigor, leadership and engagement. The 2015 Hites Transfer Scholars were selected from more than 2,100 applicants worldwide. Haydary served as the Student Trustee on Rock Valley College’s Board of Trustees for the 2014-15 academic year and was also a member of the college’s Student Government Association. He graduated from RVC in May 2015 and transferred to the University of Illinois at Urbana–Champaign where he is majoring in Psychology. Haydary will receive his award at Phi Theta Kappa’s 2016 Annual Convention (NerdNation) which will be held April 7-9, 2016, in National Harbor, Maryland. On August 24, 2015, Northern Illinois University and Rock Valley College announced a new Rockford engineering partnership. Beginning in fall 2016, area students with associate’s degrees in engineering science will be able to pursue one of three bachelor’s degrees in engineering from the NIU College of Engineering & Engineering Technology on the RVC campus. Students who already have a bachelor’s degree in engineering can earn a master’s degree. 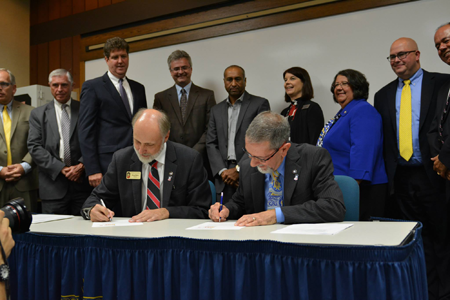 NIU President Dr. Doug Baker (left) and RVC President Mike Mastroianni (right) signed a Letter of Intent for the establishment of the NIU-RVC Engineering Program on August 24, 2015. 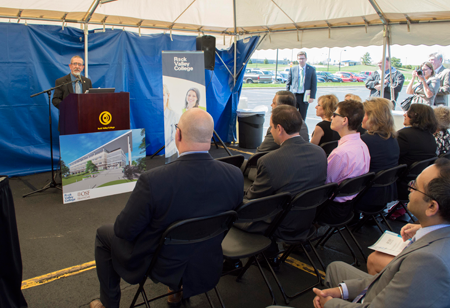 Rock Valley College held a ribbon-cutting ceremony for its new Aviation Career Education Center (ACEC) on Wednesday, September 16, 2015. College leadership, trustees, staff, faculty, and students were joined by local dignitaries, politicians, and community members for the special ceremony. The ACEC is a 40,000-square-foot classroom and lab facility located on Cessna Drive at the Chicago Rockford International Airport. It replaces the 9,800-square-foot Falcon Road hangar that was home to the RVC’s aviation maintenance technology program since 1968. Previously, the program was able to produce about 50 graduates each year, but the new facility will allow the college to triple that number. 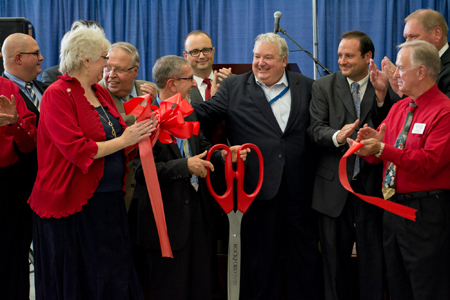 The building officially opened for the start of the fall semester on August 24, 2015. The program had 81 first-year and 35 second-year students enrolled for the fall semester. Forty additional first-year students will be starting for spring semester in January 2016. Adjacent to the ACEC, AAR Corp is constructing an MRO (Maintenance, Repair and Overall services) that is expected to open in late 2016 that will bring 500 or more jobs to the airport and provide employment for graduates from RVC’s aviation maintenance technology program. 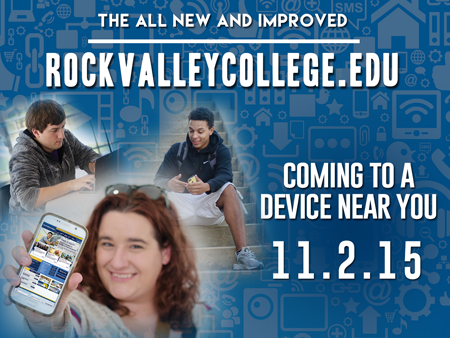 On November 2, 2015, the college launched its all new rockvalleycollege.edu website. The RVC website had over 6 million page views in 2015 with over 30% of users accessing the site via a mobile device on average each month. 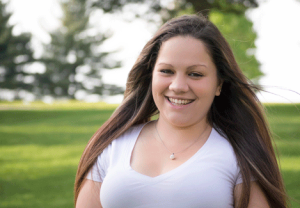 Matilyn Bindl, a second year student at RVC, was selected to represent the Illinois Community College System as its 2015 Lincoln Academy of Illinois Student Laureate, making her only the second RVC student in history to attain that honor. 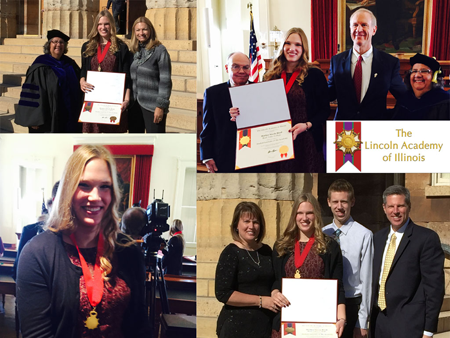 The 2015 class of student laureates were honored in Springfield on Saturday, November 7, 2015, at the Old State Capitol. Bindl is enrolled in the RVC Running Start Program, which gives high school students the ability to obtain an associate degree and high school diploma simultaneously. She holds a 4.0 GPA at RVC and at Belvidere North High School and will graduate from both institutions next spring before transferring to the University of Wisconsin-Madison. Bindl will pursue a bachelor’s degree in astronomy or astrophysics after participating in the Research Experience for Undergraduates (REU) Program at the University of Wisconsin-Madison during the summer of 2016. Bindl has been heavily involved in community activities and extra-curricular activities at RVC and Belvidere North High School, holding officer positions in many organizations. Less than two weeks later, Bindl was also selected to receive a $1,000 scholarship from Phi Theta Kappa Honor Society as a 2015 Coca-Cola Leaders of Promise Scholar. Matilyn Bindl was joined by her family as well as RVC’s Amy Diaz and RVC Provost Carmen Coballes Vega at the Old State Capitol in Springfield on Saturday, November 7, 2015. Thank you again. It’s been great fun sharing our 50 years of history with you all year.